It’s been four years since their last album was released, but at long last, Slipknot has returned to the music scene with the release of All Hope Is Gone, their newest album. During these past four years, the band took a much needed hiatus, with most of the nine going their own ways, working on other side projects. Rumor had it that the band had even broken up. Yet, for months now, anxious maggots, the “affectionate” nickname given to Slipknot fans, have known that All Hope Is Gone would be released on August 26th. The main question of fans is what could be expected of the band, especially after the glorious curveball of an album, Vol 3: (The Subliminal Verses) (2004), was criticized by fans of the style of the older albums, Slipknot (1999) and Iowa (2001), for not being as hard and brutal. Lead singer Corey Taylor, or #8, has explained during multiple interviews that this album would be Slipknot’s “hardest album ever.” Regarding the content and the album as an aesthetic whole, Taylor stated that “It’s [the album] going to rip your face off… I don’t think the world will be ready for this album.” Expectations have clearly been set quite high. Commercial success for the album has been there since the 26th, providing at least some evidence of quality. In a blog post, the band disclosed today that the album is currently #1 in the US, as well as in other leading global music capitals. General reviews and critique have been overwhelmingly positive. But again, the reception by the most dedicated fans has been lukewarm, again citing the diversity in style, sound, and content as “selling out” or being heavily influenced by Taylor’s affiliation with his other band Stone Sour. The heap. 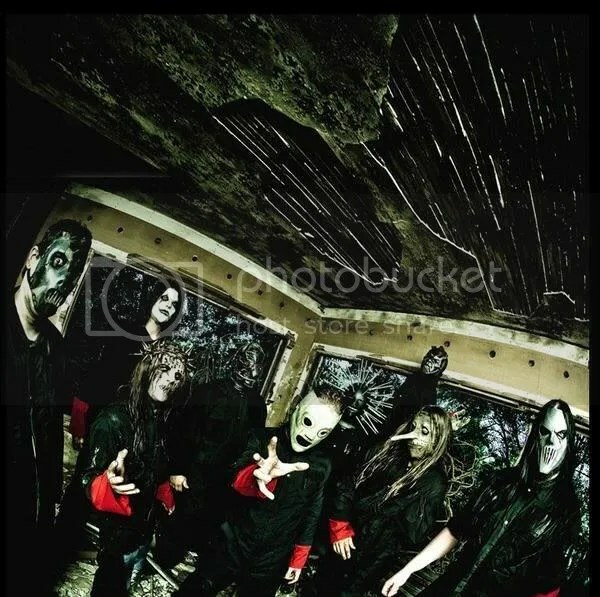 attributes the change in Slipknot’s music to relative maturity. The band, in a sense, has grown up. Earlier records capture (and perhaps define) pure thrash metal, with thematic elements covering the portrayal of the masses, and being an outsider, just for starters. You’ll still find some of that in All Hope Is Gone, but I feel it’s for a different reason. You find men who are in their mid thirties, who now have valuable life experience, rather than younger individuals trying to stake their claim to musical success. The intertwining of political ineptitude, excessive blind faith (and forceful imposition of that faith), as well as the inclusion of deep, personal influences, such as reflections on various types of relationships such as with people, a significant other, God/ supreme beings, and even the government, all culminate in a tasteful rendering of what Slipknot has always been about- attempting to be the voice of reason by their realist approach. All Hope Is Gone is fantastic. Sure, Slipknot is a little late to the government denouncing game, but we’ll give them a break, since it’s been four years since they last released an album. But it is certainly not for everyone. Despite it functioning as an aesthetic blend of symbolic tempo changes and as a piece which begs of the listener to not just hear, but listen, the genre of music often won’t attract the casual music listener. I would suggest reading the lyrics, and perhaps trying to understand the method in which they are presented. Taylor’s vocal talent is proven by the sheer brutality in his shouts, but also his ability to sing melodically. Drummer Joey Jordison has reached a new level in this album as well. His work, though subtle, would be quite noticeable if a less talented drummer would be attempting to play. The guitar/bass work is good, an above average effort. There are certainly some memorable solos, but the riffs are often repetitive and in a few songs, they sound quite similar. The album begins with .execute., which begins as a vintage-sounding recording of a speech. As the speech gets more aggressive, white noise begins to fill the air, resulting in a garbled message and effectively preventing the listener from hearing. Symbolic of censorship, and more specifically, controlled information divulged by the media. 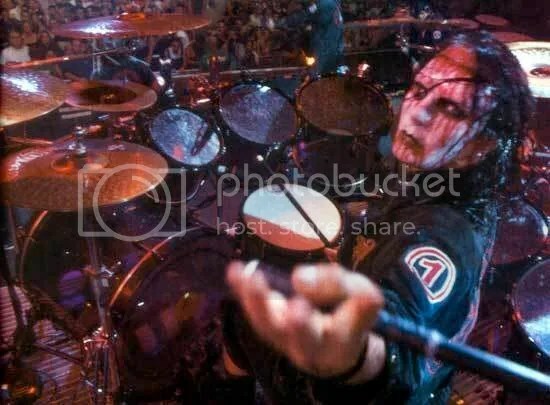 The message leads into a stellar drum solo by Jordison, which leads immediately into Gematria (The Killing Name), opened by a minute or so of an instrumental segment, reminiscent of The Blister Exists. The title refers to the practice of interpreting text by giving letters numerical values, used primarily in Hebrew text. For instance, if Yahweh in Hebrew equals a certain value, and the addition of the values of love and understanding equals the same number, Yahweh = love and understanding! In this song, the vocals reveal that “America is a killing name,” presumably, that America equals killing and I’m sure a load of other things. Sulfur, a song challenging the conventions of fear-based organized religion and Psychosocial, oozing with political satire and straightforward critique round off the first high energy, pounding, fast tempoed tracks. The pace and sound of the album changes in Dead Memories, as the theme shifts from sheer ideological attack to personal, inner reflection. Perhaps the first thought of maggots is that this track screams Stone Sour. I would agree with this notion, though again, I feel it allows the band to showcase their diversity in style and talent. The lyrics of the track can be interpreted differently, though it is apparently based on a rough time in Corey’s life. Vendetta picks up the pace, almost suggesting brutal retribution or an effort to forget the cause of pain in the prior song, while Butcher’s Hook seems to suggest a symbolic situation in which the band puts the government (and other positions of superiority) on the hook (a helpless position) and have their say. Gehenna slows things down again, introducing an eerie, almost supernatural melody. The song bears many similarities with Korn in sound and themes. Gehenna is the term for the Jewish hell/ purgatory. So plausibly, we are hearing the speech of a chastiser who is struggling with identity. This track is followed by This Cold Black, criticizing those in charge again, but also reflecting on the mental state of a soldier forced to go to war and how his perception of the world has consequentially changed. The band challenges the blind upholding of “traditional” values in Wherein Lies Continue, as well as the struggle between generations as the younger ones try to extricate themselves from values imposed by fear and not reason. The song also seems to criticize those who “want to believe in everything,” or in essence, won’t stand by one view strongly and rationally. It definitely resonates of the Biblical account of the Garden of Eden rebelling against unexplained rules. But yet again, Snuff slows everything down again, with the use of an acoustic guitar. It’s about a forbidden love where the other person in the relationship essentially quits trying. What ensues is a touching hymn of resentment. It could also (possibly) be interpreted as the sorrowful lament of a sinner, who similarly chooses resentment of what has occurred in his life. 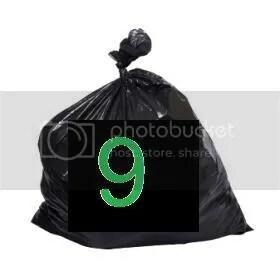 9 trash bags, filled to capacity. I found this video on Youtube while I was browsing around for different Slipknot performances. I remembered a few years back when the ‘Knot was releasing Vol. 3: (The Subliminal Verses) that they performed on Jimmy Kimmel Live. So I watched their performance of “Duality” which was the first single off of the new record. (Though I am relatively a new maggot, I have heard their older albums and feel “Duality” is one of their best songs!) It was of course, awesome. But the video of the second song really made me laugh. I can’t believe I had forgotten about it! If ANYONE ever asks, it can be said that Wolf Blitzer has been to a Slipknot concert! If you watch the opening minute or so, you can see that he is NOT amused to be there. This could be because he was probably missing the touch screen monitor he and his CNN colleagues use to at the CNN election center. Who knows, he may have been right in the middle of the pack. Haha. Well, if you watch past the Wolf Blitzer part, the song is called “The Blister Exists,” and it’s pretty sick. Enjoy. I love Rock Band. Throughout cyberspace, there are plenty of forums full of flame wars regarding how the game requires no talent, and perhaps serves as a way to reduce the value of actually playing an instrument. Let’s not lie to ourselves. Playing a real guitar versus playing 5 buttons and a strummer (with an occasional whammy) is much more difficult, and requires much more practice… Every time I go to a concert, I can only stand in awe and acknowledge the superior skill required to handle chords, hand positions, rhythm, and multiple strings. And don’t get me started on drumset. Quite more intimidating than the four-padded set which comes with the game. In either case, playing Rock Band, is FUN, and I enjoy the game to no end. Every Tuesday, I’ll briefly give a run down of the newly released songs, and any pertinent information regarding them. I’ll probably enclose a youtube video of the note charts if that interests you. This week, the Roadrunner pack was released. The six songs/artists are of the Roadrunner label, which specializes in Heavy Metal music. Some notable artists on the Roadrunner label are of course, Slipknot, Cradle of Filth, Poison the Well, Lamb of God, Nickelback, and Megadeth, just to name a few. Check out the list of artists here. Or visit the Official Website Here. If you remember the GH2 days, Hangar 18 may have been a nemesis of yours, especially on Expert. Guaranteed to spike your heart rate. So is the case with Sleepwalker. It is easily the hardest song created to date, is it is a Tier 9 song for guitar, drums, and vocals (8 for bass… what a break!). Here’s a clip of the insanity.